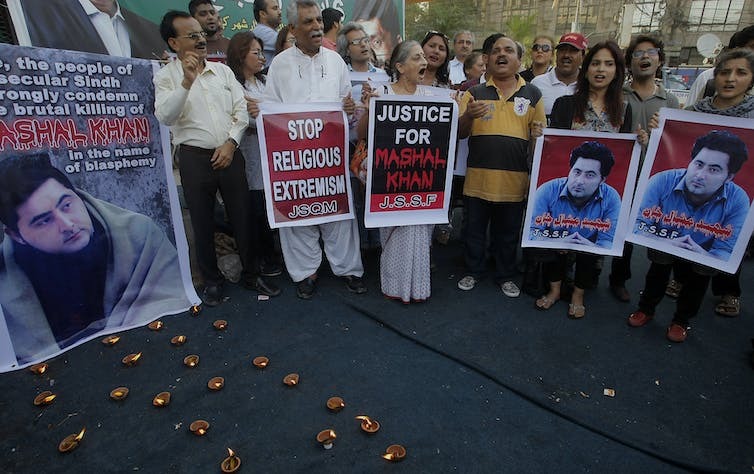 Recent weeks have brought renewed attention to the problem of blasphemy in the Muslim world. In March, Pakistan sought Facebook's aid in government efforts to "remove and block" blasphemous content from social media. Subsequently, there was a wave of blasphemy-related violence in Pakistan, including two murders and an attempted lynching. In Indonesia, meanwhile, prosecutors recommended an unexpectedly light sentence - two years' probation - for the outgoing governor of Jakarta, who stands accused of speaking irreverently against Islam. These news items are hardly surprising, coming as they do from parts of the world that regard blasphemy as a serious criminal offense. Yet active blasphemy laws also exist in many Western, secular nations. 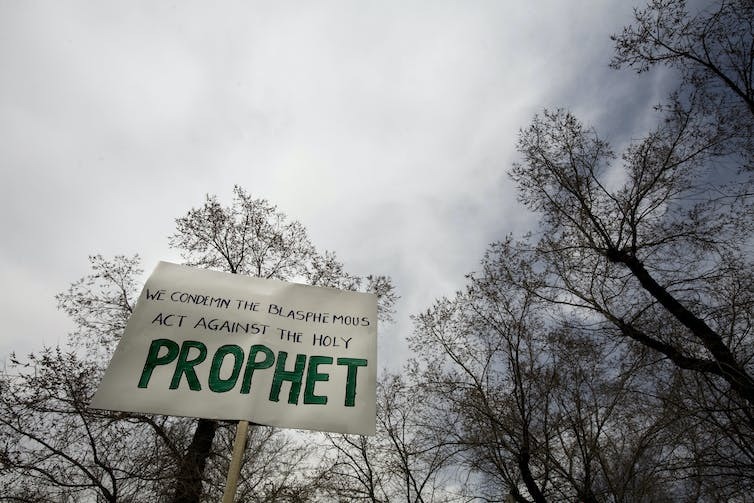 According to the Pew Research Center, nearly one-fifth of European countries and a third of countries in the Americas, notably Canada, have laws against blasphemy. In my research for a new literary study of blasphemy, I found that these laws may differ in many respects from their counterparts in Muslim nations, but they also share some common features with them. In particular, they're all united in regarding blasphemy as a form of "injury" - even as they disagree about what, exactly, blasphemy injures. Cultural anthropologist Saba Mahmood says that many devout Muslims perceive blasphemy as an almost physical injury: an intolerable offense that hurts both God himself and the whole community of the faithful. "The idea that we should just get over this hurt makes me so mad." "I would have felt less wounded if the object of ridicule were my own parents." The intensity of this "hurt," "wounding" and "ridicule" helps to explain how blasphemy can remain a capital offense in a theocratic state like Pakistan. The punishment is tailored to the enormity of the perceived crime. As historians like Leonard Levy and David Nash have documented, these laws - dating, mostly, from the 1200s to the early 1800s - were designed to protect Christian beliefs and practices from the sort of "hurt" and "ridicule" that animates Islamic blasphemy laws today. But as the West became increasingly secular, religious injury gradually lost much of its power to provoke. By the mid-20th century, most Western blasphemy laws had become virtually dead letters. That's certainly true of the U.S., where such laws remain "on the books" in six states but haven't been invoked since at least the early 1970s. They're now widely held to be nullified by the First Amendment. Yet looking beyond the American context, one will find that blasphemy laws are hardly obsolete throughout the West. Instead, they're acquiring new uses for the 21st century. Consider the case of a Danish man who was charged with blasphemy, in February, for burning a Quran and for posting a video of the act online. In the past, Denmark's blasphemy law had only ever been enforced to punish anti-Christian expression. (It was last used in 1946.) Today it serves to highlight an ongoing trend: In an increasingly pluralist, multicultural West, blasphemy laws find fresh purpose in policing intolerance between religious communities. Instead of preventing injury to God, these laws now seek to prevent injury to the social fabric of avowedly secular states. That's true not only of the West's centuries-old blasphemy laws but also of more recent ones. Ireland, for instance, passed a law in 2009 that prohibits the "publication or utterance of blasphemous matter." More specifically, it targets any person who "utters matter that is grossly abusive or insulting in relation to matters held sacred by any religion, thereby causing outrage among a substantial number of the adherents of that religion." With its emphasis on the "outrage" blasphemy may cause among "any religion," this measure seems to be aimed less at protecting the sacred than at preventing intolerance among diverse religious groups. The law itself has caused outrage of a different sort, however. Advocacy organizations, such as Atheist Ireland, have expressed fierce opposition to the law and to the example it sets internationally. In late 2009, for instance, Pakistan borrowed the exact language of the Irish law in its own proposed statement on blasphemy to the United Nations' Human Rights Council. Thus, Atheist Ireland warns on its website that "Islamic States can now point to a modern pluralist Western State passing a new blasphemy law in the 21st century." That warning resonates with the common Western view of blasphemy as an antiquated concept, a medieval throwback with no relevance to "modern," "developed" societies. As Columbia University professor Gauri Viswanathan puts it, blasphemy is often used "to separate cultures of modernity from those of premodernity." Starting from the assumption that blasphemy can exist only in a backward society, critics point to blasphemy as evidence of the backwardness of entire religious cultures. I would argue, however, that this eurocentric view is growing increasingly difficult to sustain. If anything, blasphemy seems to be enjoying a resurgence in many corners of the supposedly secular West. 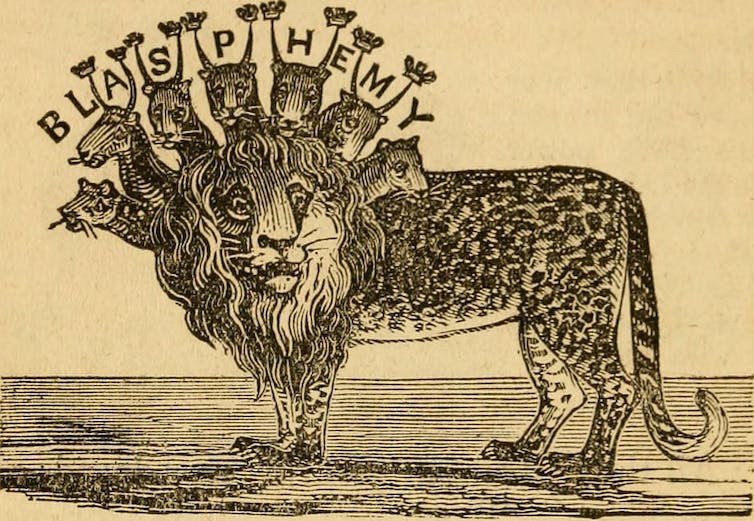 The real question now is not whether blasphemy counts as a crime. Instead it's about who, or what - God or the state, religion or pluralism - is the injured party. Steve Pinkerton is a Lecturer in English at Case Western Reserve University. This article was first published in The Conversationalist. Read the original article here.